RIGGING / ELECTRICAL — Hartge Yacht Yard, Inc.
As a youngster, Guy worked in the Rhode Island family machine shop. He then went on to earn a degree in Accounting and kept the books for the business. When the family business sold, he went to work for a plastics manufacturer and took engineering classes. His interests moved to sailing and Guy became Captain of the Santa Cruz 72, DONNYBROOK, and also met his wife. Based in Annapolis, his racing was throughout the East Coast and Caribbean. Guy has been with HYY since 2008 except for a stint in teaching Marine Technology at South River High School. Guy, along with HYY rigging staff, are very versatile and do much more than rigging: electronics, electrical, refrigeration, metal working, heating, air conditioning, and plumbing. Guy has certification or training in the following: ABYC Marine Systems, Dometic / SeaLand Vacuflush, Dometic Air Conditioning, Raymarine, and EPA refrigerant recovery. In his free time, Guy enjoys coaching his boys and their baseball teams, as well as other sports that includes sailing. Richie was born in Alabama but grew up in Argentina. He earned a degree in computers and electronics and moved back to the U.S. to find better economic opportunities. In Annapolis, he took classes to learn English. As he learned, Richie helped others with their English and worked as a translator at the hospital. By chance, Richie met the mother of the owner of the Annapolis Harbor Boatyard, which resulted in a job for many years. He worked for several other firms in Annapolis before coming to HYY as a mechanic and electronics technician. 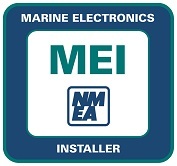 Richie has training in Garmin, Raymarine, Furuno, Dometic Refrigeration, and is certified with ABYC and the National Electrical Manufacturer Association.